Bristol is full of surprises and a joy to behold! Just look at the slideshow now if you must (also linked to below) but then do read on. First of all, the centre is one of the most advanced of all city upgrades outside London. Not wasted here was the decade of economic boom preceding the bank and general economic crisis. By the centre, I mean the area within a short walk of the waterways. 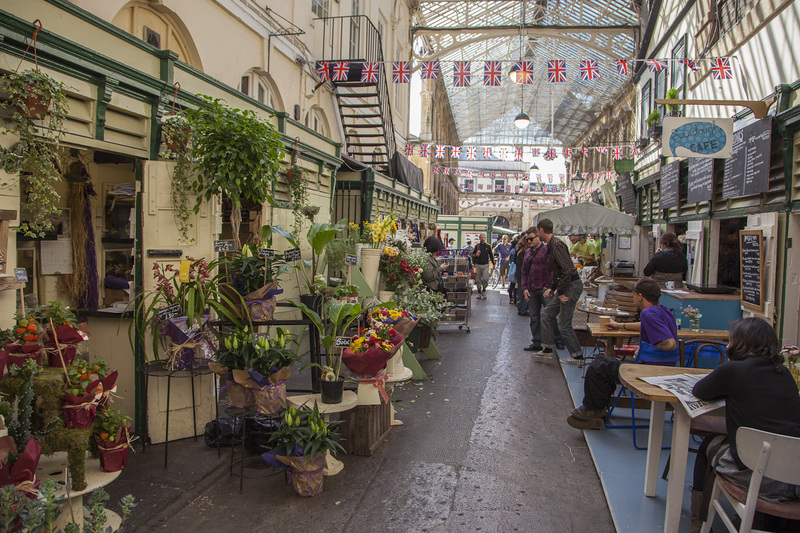 Historic and characterful buildings are retained and in pristine condition. Poor areas of architecture and derelict docklands are replaced by a coherent set of stylish public and commercial buildings and, of course, apartments designed for quality living taking advantage of the surroundings instead of providing hen batteries . Perhaps Bristol’s greatest asset is its waterways. The Floating Harbour was created from the original tidal one at the start of the 1800’s. To the east the river Avon was diverted to the south of the harbour with a lock connecting the two. At the west end of the harbour, some 6 kilometers away, the diverted Avon meets the Floating Harbour at a mighty system of two locks before heading further west under Brunel’s Clifton Suspension Bridge and onward to the Severn Estuary. As a result of this feat of engineering, ships could enter the harbour at high tide and remain afloat there as the tide receded instead of sitting precariously on the exposed mud of the drained harbour. And that’s how it is today although, like other former dockland areas, now used largely for pleasure purposes. And pleasurable it certainly is, the sites along it are engaging enough if you walk but are even more impressive by boat. No boat? Then if you can take a trip on the many pleasure boats or the frequent ferry boats that take you anywhere in no time at all. 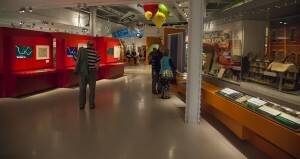 You’ll see Brunel’s SS Great Britain a magnificent feat of his engineering, (as all are! ), and the first iron steamer to cross the Atlantic, which she did in 1845, in a time of 14 days. The ship is superbly restored and maintained. But what is really great is the way this fantastic geographical asset has been use to the full. There are many attractive places where you can sit and watch the comings and goings. There are a staggering 260 restaurants of all types both land and boat based including the largest in Europe the Za Za Bazaar with 1000 covers! The Floating Harbour is particularly well populated and benefits from the waterway views. All this creates a great atmosphere for tourists. 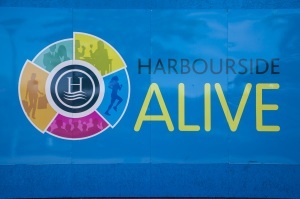 There are 50 short term visitor moorings in the Floating Harbour (see Harbour Map and Council Notice on Mooring and Berthing in the Harbour). First open my GOOGLE MAP in a separate page with the location of the photos placemarked – increase or decrease size using the +/- scale. 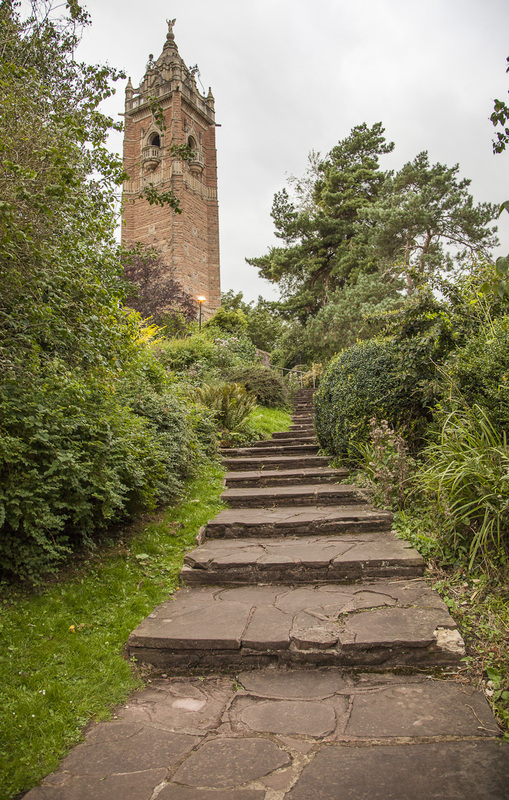 Whilst visiting other places in easy reach are the green spaces in the central area, Queen’s Square at harbour level and the elevated Castle Park and Brandon Hill both with super views over the city. If you’re feeling energetic you can climb the 105 feet Cabot Tower perched on the top of Brandon Hill for superb panoramic views. 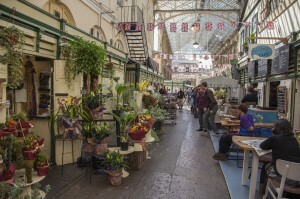 Another must is St Nicholas Market , with stalls selling everything and a place to linger for snacks with a difference. Also there are several museums in the central area including the M Shed, a very large 1950s transit shed on the harbour side, telling Bristol’s story in its own way. Finally, mention must be made of the magnificent Temple Meades train station. 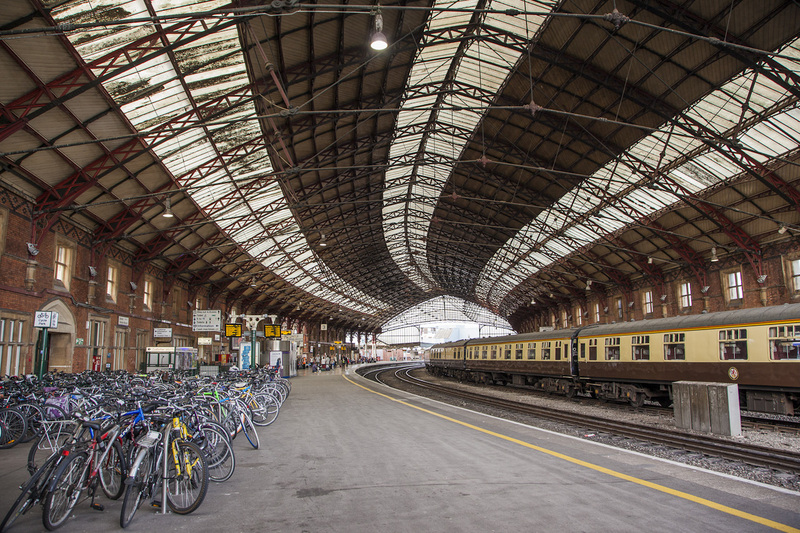 Initially Brunel built it in 1840 and this building still stands alongside the magnificent high domed roof (to accommodate steam locos.) of today’s station which was built in 1870. The station is on a curve and has 15 platforms – a sight to be seen. You can read much more about Bristol including more photos in my other website AndForMyNextTrip.com. Click here to view the article. Geoff. trying to discover route of the Avon into bristol harbour pre ” new cut & feeder canal. Sorry, but words almost fail me! `Bristol Floating Harbour` – magnificent – thanks so much for the many hours it must have taken you to put this extremely interesting webpage together. I’m now off to make a cuppa and start slowly from `scratch again! I don’t think I will get much done this morning! Geoff, you sure do a good job, I do enjoy your pictures. Wish I was with you! !